If you have suffered food poisoning as a result of badly prepared or out of date food then you can claim compensation and damages. When can I claim for food poisoning? When you purchase food, whether it be at your local fast food outlet, high-class restaurant or from a shop you expect it to be of a sufficient quality and standard that allows you to eat it without further problem however this is not always the case and food poisoning can lead to nausea, dizziness and diarrhoea and worse. signs that you may be dehydrated, such as a dry mouth, sunken eyes, and being unable to pass urine. Your claim against the establishment that you suspect is responsible will be greatly assisted if you have any of the food product that you suspect is contaminated and a stool sample if you suspect that there may be bacterial infection or parasites. It may be best to consult your doctor at this stage as they will be better equipped for the job and we can always get a report from the doctor. 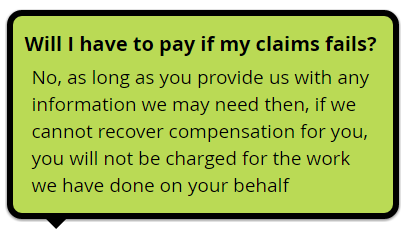 In addition, your claim will be greatly aided if the owners of the establishment have recognised that there has been a problem and the appropriate authority such as Public Health England has been involved. What can I claim for food my poisoning? If you have suffered food poisoning you are entitled to claim compensation and we have the expert knowledge to make sure you get all that you are entitled to. How can I claim for my food poisoning?